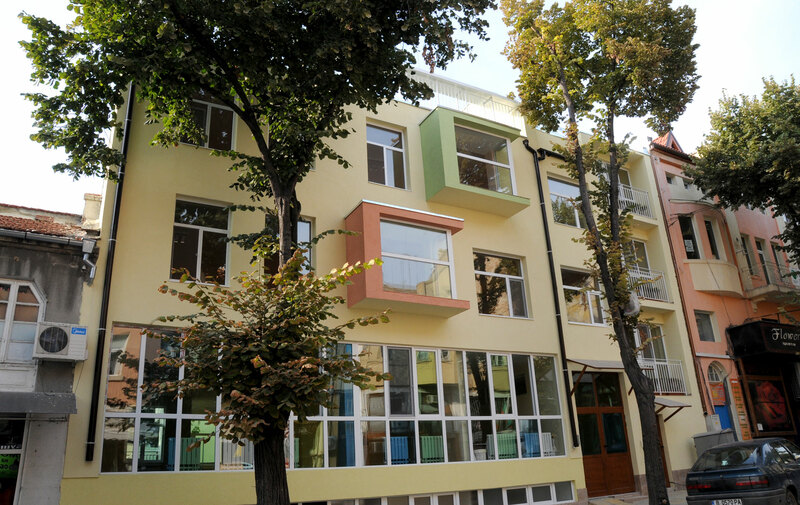 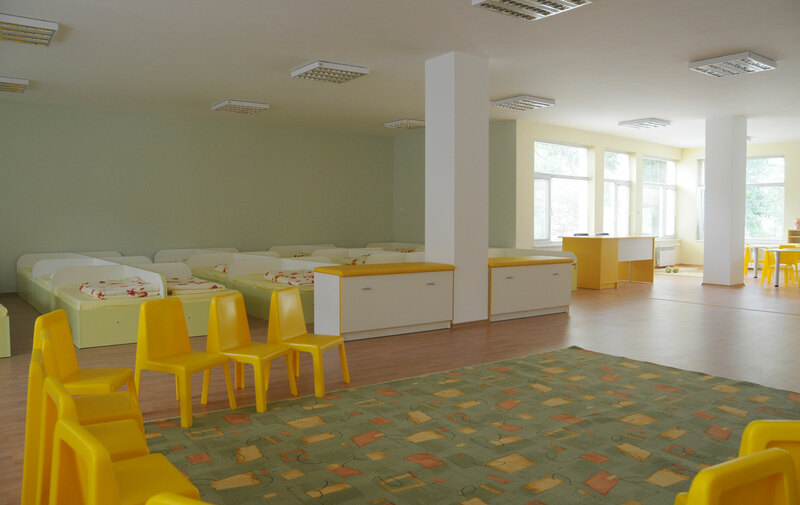 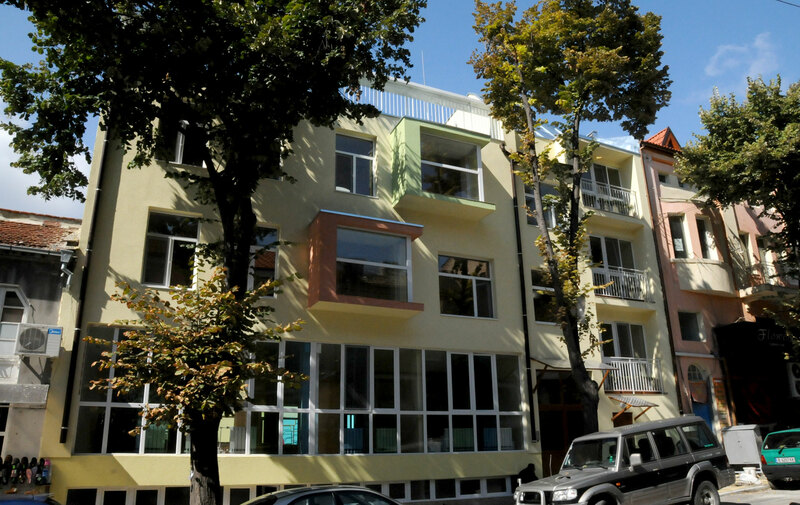 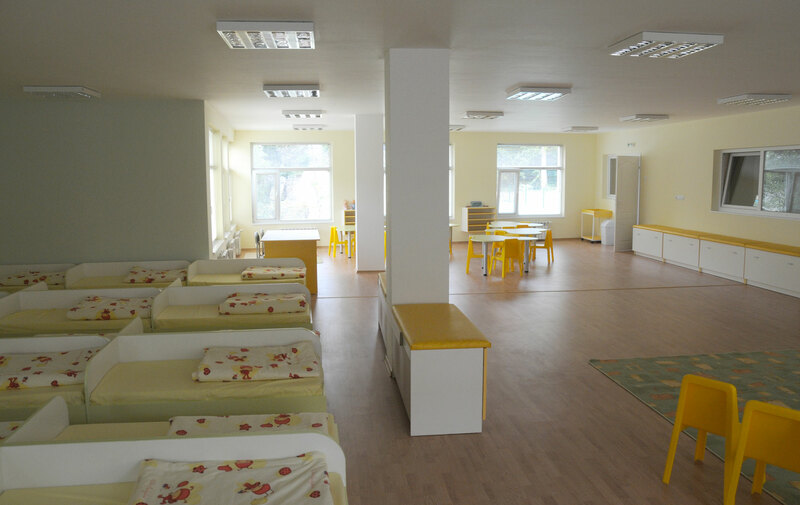 Kindergarten “Golovina” has a capacity for 50 children. 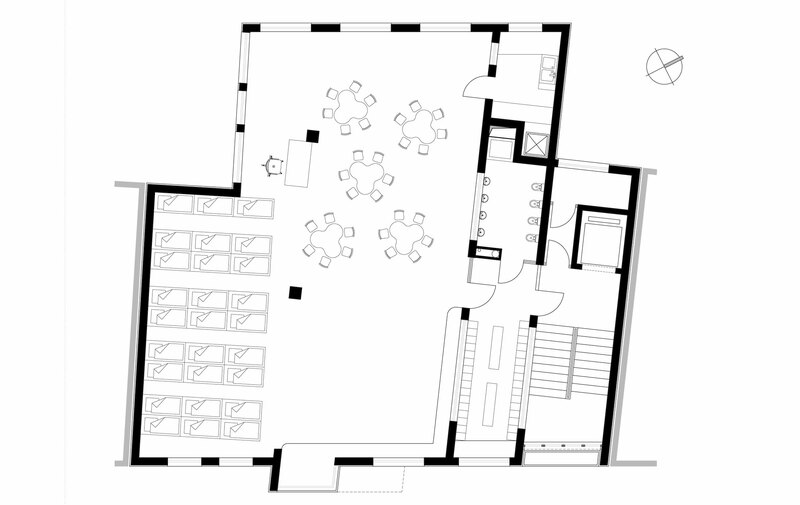 The building is located in a property with quiet yard and is accessible by a small street. 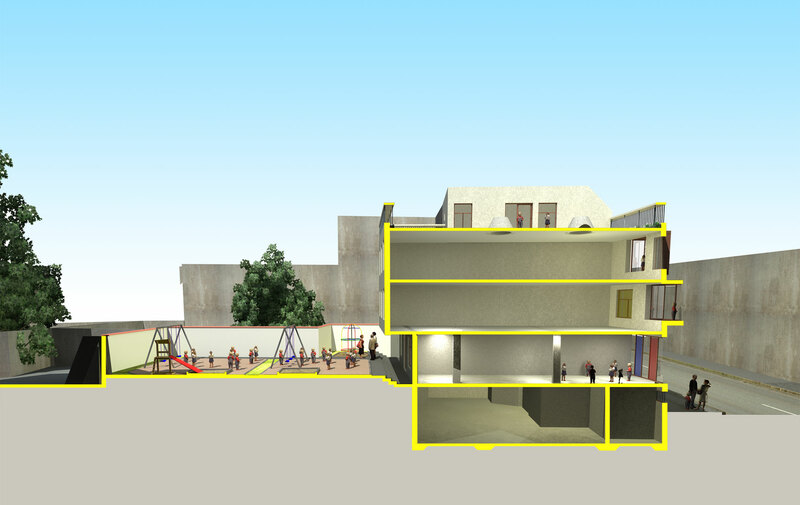 The first level has a hall for sports and music open towards the playgrounds. 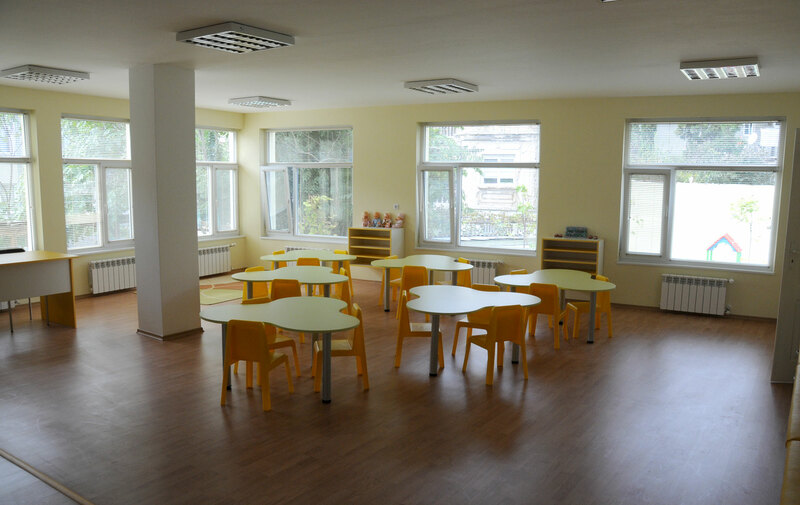 The main areas for both children groups are the second and third level. 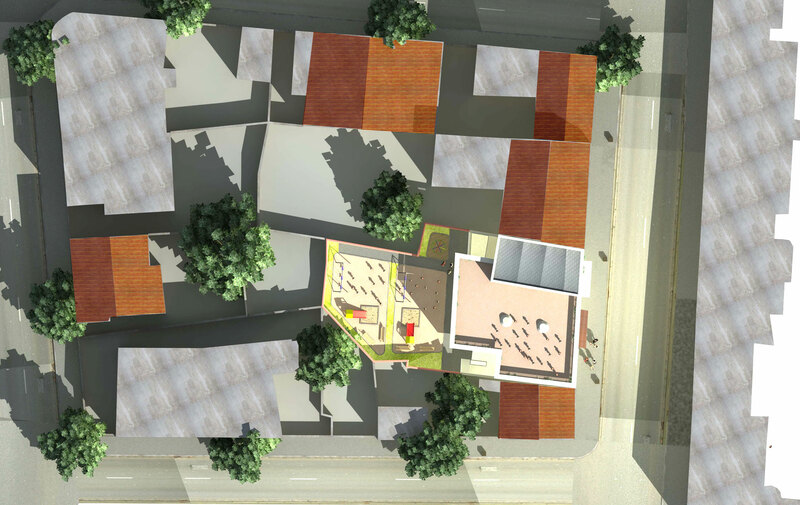 The volume is illuminated profusely from the southeast, while opens to a peaceful interior garden.